We all know how much of a difference that finely-honed customer service skills make. They help to create relationships and, as we discussed in the last Winning At Work, it is the relationships we build, not the transactions we make that create real customer loyalty. Here’s one that we don’t see very often, but leaves a lasting impression when we do. Have you ever been introduced to someone only to realized that, 30 seconds later, you can’t recall his or her name? If so, you’re in good company. Most of us shake our heads in amazement when we encounter an individual who always seems to remember names – sometimes even months or years later. Contrary to popular belief, this is more than just some genetic fluke. It is a skill, and one that’s fairly easy to master when you set your mind to it. Someone once explained the principle to me in the form of a simple question. “If I were to tell you that my name was Frederica, and that if you can recall my name an hour from now I would give you a million dollars, do you think you would remember it?” My answer, of course, was a resounding yes. So, why would I remember it in this situation? Because, she explained, it was important to me. The harsh reality is that we fail to remember most people’s names because we simply don’t make the effort. It’s just not important enough to us at the time. And, sadly, when we have that embarrassing moment when we have to say, “I’m sorry, I’ve completely forgotten your name,” the other person gets the subconscious message that they just weren’t very important to you. When you meet someone, make a conscious effort to say, “I am going to remember this person’s name.” Surprisingly, that is sometimes all it takes. This person is going to give you a million dollars! Use the core principles of listening. When being introduced, clear all other thoughts from your head and focus only on that person and what he (she) is saying. Make eye contact. Watch his mouth as he pronounces his name. This person is going to give you a million dollars! If you are handed a business card, look at the name. See how it is spelled. Give it a moment to imprint on your brain. If you don’t have a visual, you can sometimes create an image in your head by asking about the spelling. E.g., “Is Sarah with or without the ‘h’?” This person is going to give you a million dollars! If there is an opportunity, write it down shortly after you’ve heard it. This person is going to give you a million dollars! The more often you can say it, the more likely you will be to remember it. Instead of just saying “Hello,” say, “Hello Sarah.” Instead of saying, “What do you think?” say “What do you think Sarah?” This person is going to give you a million dollars! Like all new skills, it takes time and practice to master. Start with one person a day. Just one. Later on that evening see if you can recall the person’s name. You may be very pleasantly surprised. Over time and with practice, you will find that this skill begins to come naturally. 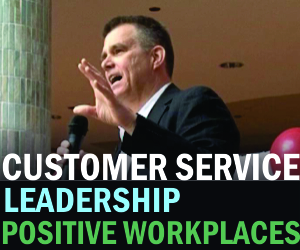 This is, as you have already guessed, far more than just a customer service skill. It is a life skill. You may never actually get that million dollars, but it will truly make you stand out.